Hoping they put them up again soon. I'd keep an eye out this weekend. My guess is it was supposed to coincide with E3 and someone jumped the gun a bit. 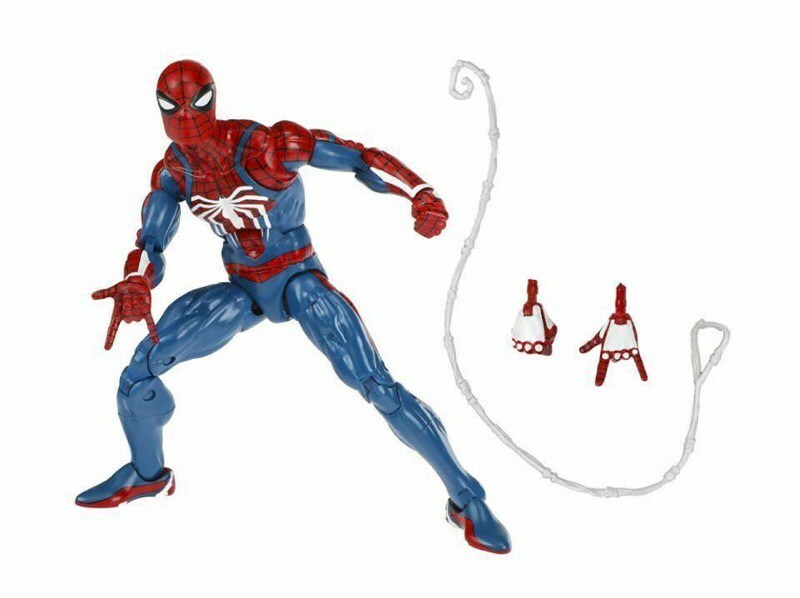 The figure looks pretty good but I really wish Hasbro would have included the open hands for wall crawling. Spiderman figures just seem incomplete without them. Also, redfox was the first person to post the pic and info in the Marvel Legends thread yesterday. That’s one hell of a jaw. Is that spidey or Thanos? Has there been any word about when the 4 inch 2-pack version is supposed to be released? Oh yes... I can do a 3.75" custom of... John Travolta from Saturday Night Fever... or Colonel Sanders... or the architect of the Matrix... or switch it up with my MU Professor X to make him look cooler. 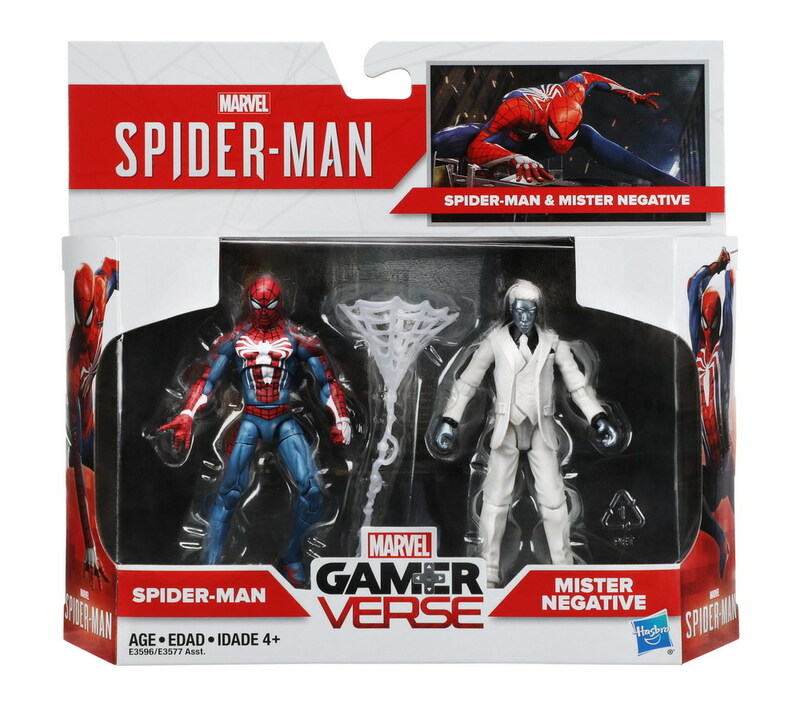 Gonna get this just for the Mister Negative suit. Looks like the 3.75" 2-pack pre-orders are sold out already. For those that didn't already notice, Mr. Negative uses the old GI Joe Rise of Cobra Destro body. Wow, that Destro, if properly customized, could be a nice Phil Coulson! Last edited by Joe Moore; 06-12-2018 at 08:38 AM.. He kind of looks like a Micronaut dressed as Mr. Rourke from Fantasy Island in that pic. I really hated the new Spider-Man costume when it was first revealed, but as time has gone on, it's started to grow on me a bit. I might have to pick this up. I haven't been following this Spider-Man game closely, but personally I'd rather they have stuck with the classic suit. Is it story-related or something? It's not story related. The developers just wanted to do something different for it to stand out. The game itself looks fantastic though and it really wasn't needed for the suit to stand out, since the game stands out from it's game play enough by itself. I get they were just trying to be original and put their own spin on his suit like the first Amazing Spider-Man movie did but just like ASM I'm not really digging it. Luckily there's going to be extra suits to choose from including the classic. Last edited by snake5289; 06-16-2018 at 11:20 PM..